Hands up if you’ve ever seen a dress and then just can’t get it out of your head. Yep that would be me then with the above dress. I could not stop thinking about it. I literally stalked it constantly, and each week I saw its numbers in stock deplete along with my hope of attaining it. I’ve mentioned January is a long month didn’t I? 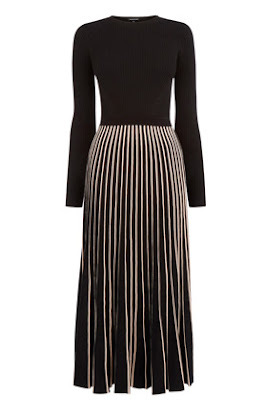 Well payday could literally not come quick enough apparently as the dress sold out everywhere bar a size 4… which nawww, that is just not going happen in a month of never-eating-again Sundays. I hunted high and I hunted low, keeping that tab open and checking every few hours on ASOS to see if more had come back in stock from returns. The obsession was real folks. Finally obsessive determination paid off. 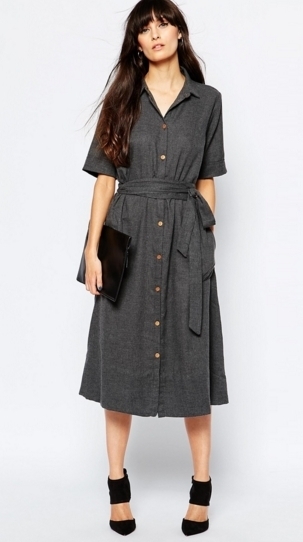 Thankful that I am no shopping quitter, I ordered the dress (in a size too big.. ugghh.. we shall see how that pans out) and it is hopefully winging its way to me as I type. So what did I learn from this ridiculously obsessive tale, apart from the fact I have major shopping issues? Well, it occurred to me whilst shopping that this is the dress of my dreams.. which I’m well aware sounds a tad whimsical, but what I mean is that this dress is the epitome of workhorse dresses. 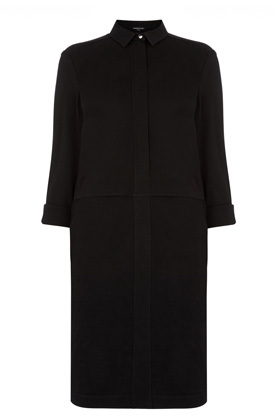 I could see me wearing this in the day time with thick tights flat boots and a chunky cardigan. Then out for a meal with smart heeled ankle boots and a biker jacket. Come summer a little denim jacket and some black sandals would complete the look. Not to mention changing the accessories, adding a scarf, a red coat or even camel and tan. You see what I mean? That is one hard working little dress I tell ya. Last year I bought 3 Whistles dresses that I lived in during the summer months, and I thoroughly look forward to breathing life in to them again this summer. I realised an investment dress is integral part of my wardrobe. After much, much perusing of dresses throughout my stalking I found some rather lovely alternatives, and now I have a dress list as long as my arm.. I thought I’d share with you some of the other work-horse dresses I found just in-case you are after a hard working dress too. First up keeping things block coloured in easy peasy neutral: black/grey. Nice and easy to remix, change up and dabble with. Both the length of these means they could work nicely for day and evening. Love the utility style of them with both having a little something about them, the black with its concealed minimal zip and the utility-style pockets on the grey. 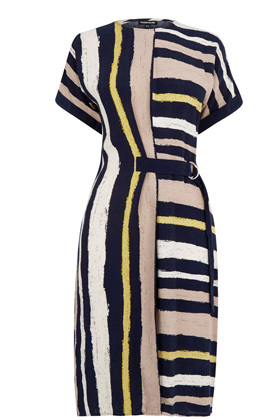 Boots, biker jacket, cardigans, sandals and even sneakers could all work with these dresses. Hard working they most definitely are. Going a bit bolder here, in this rather fabulous Selected dress. It screams spring to me, but I also think it could look rather nice with some black ankles boots, tied together with a sharp black biker jacket for a rather fabulous edgy remix.. Bold, yet beautiful. 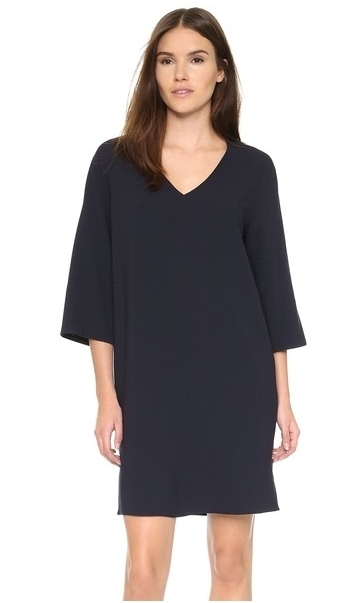 I think what works for this dress is the sleeves and length. These two combined make it day time appropriate, but add a statement necklace and some heels and an evening outift is what you will have. Classic personified.. Love this dress for its wonderful movement and fabric.. Selected are coming up trumps on the dress stakes. Lots of great choices! I think this could work well now with some knee high black heeled boots for a dress-meets-boots look. Would also look great with some tan tones.. switch out the black and make the dress a more casual affair with some tan boots and crossbody bag. Some more prints here with a bit of abstract art. The Stripe dress has a darling little d-ring half belt which is wonderful if you like a bit of waist definition with a modern twist. 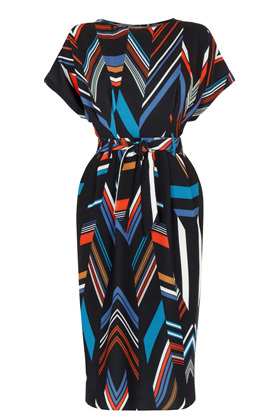 The Chevron dress, again belted is gorgeous for creating that classic hourglass look. I adore this dress. The navy not being as harsh as black, its fun and has a fabulous mix of colours to be able to depict and mix in some great accessories. 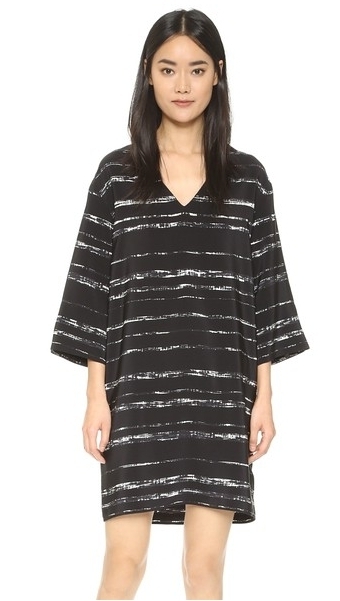 I think I would add in some black boots and a black coatigan for this dress. But come spring summer, switch it out to some navy accessories or a little cream cardigan/jacket. Ahhh good old stripes.. I couldn’t not include them now could I? I’ve gone for an updated version of the stripe dress with the ‘its-everywhere-right-now’ midi style. 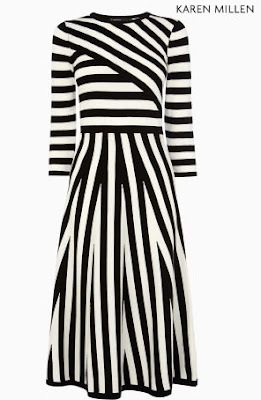 Love how both of these have vertical stripes elongating the body rather than making it look thicker with horizontal stripes, which works tremendously well on a midi dress, as I’m aware they can be tricky with its not always flattering length, but this will help with that. I kinda love the idea of the Karen Millen dress with sandals, sharp pointed stilettos or knee high boots.. Dressed up or down, that is one fabulous dress. A black gilet in winter or simply with lace up heels and a smile in summer. This is not only a multi occasion dress, i have a feeling it could be very multi seasonal too. Finishing with my two favourites, which are of course the most expensive. But we are talking the long run here ladies, investment pieces to pull out year upon year equating to the lowest of the low cost per wear. I adore the kimono style sleeves flattering length which would be longer on me thankfully as these ladies are more than likely closer to 6ft. The v neck is supper flattering and the colours and cut are perfection. Vince did good. There are a ton more I’ve found on my hunt but these have wet the appetite at least. I may have also found a new prey to stalk.. The classic Red dress, with valentines fast approaching and all I think a little love of red dresses may be in the air.. Shall report back soon. Do you have any wonder dresses? Too big is better than small – take it to a tailor and get it taken in to fit you. I almost bought that Whistles dress, but it turns out it's dry clean only, so no use for me! I actually got the same one in plain navy, which can be machine washed. It comes up really big, to be honest, I usually get a 12 in dresses because I have a large bottom and the 10 is still very generous on.